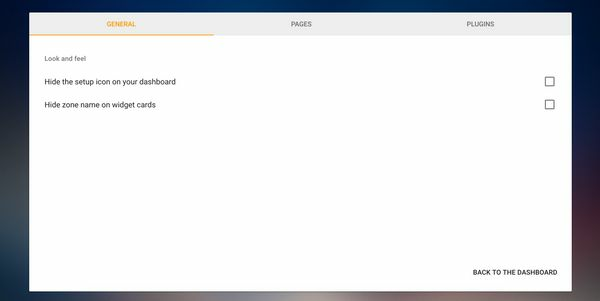 HomeyDash is a front-end for Homey, intended to use on (wallmounted) tablets, but will work on other devices as well. This is a BETA release, that means you can expect bugs or missing functions! 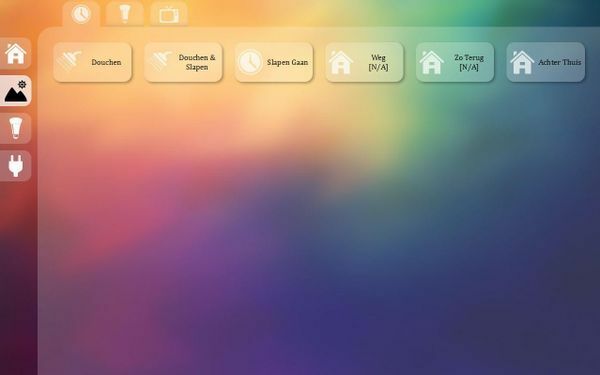 The idea of this dashboard is to integrate more then just devices connected to Homey. Later in the development progress i will add some plugins that can be enabled or disabled in the settings. These plugins for example can be pages with some Plex information, a nice RSS-feed or a sabnzbd dashboard to manage your downloads. You can expand the dashboard with widgets as well, currently the only active and working widget is to control ON/OFF devices. 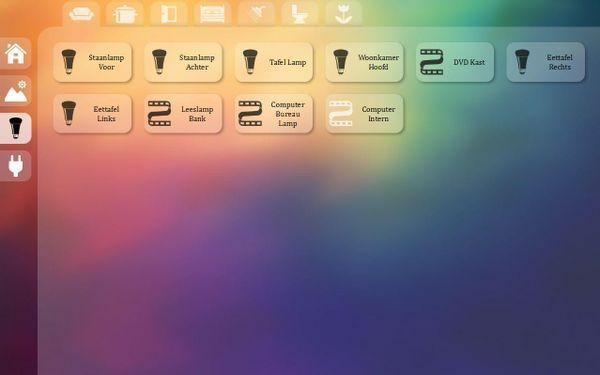 Other widgets to control Homey devices will be added soon, and in the future even other type of widgets are possible. (for example a nice weather widget or for our dutchies "NOS in 60 seconden"). After you have installed the app, open a new tab in your browser and go to http://my.athom.com . There you will have to login and wait until you see the big Homey. Do a right mouseclick on the Homey and chose to copy the link. Now paste the link somewhere readable (like notepad), now you can see your bearer token. Now go back to your Homey then to Settings and chose HomeyDash in the sidebar. Now copy the previous found bearer token into the right field. Chose if you want to auto-start the dashboard on boot and press start server. Sounds like a great project and a huge contribution to the Homey experience. My experience at this moment is that interacting with the Homey api is a lot faster then using the Android app which just takes to long when loading the cards. Having a nice dashboard would be awesome. That would be great if something like that would be available. Great idea. Please share your android devices and apps to indeed. I ordered one from china but it did not support the app...yet. Speech would also be nice, but first things first. I was also thinking of using the camera for motion activated screen. I would love to have this in my main rooms. Sounds great! And there should be a way to use Tasker to trigger the motion on the camera. Please keep in mind the UI and UX. I've seen a lot of trials before, but most of them seem to fail at really bad UI/UX. Homey included to be honest. I've used the design first principles during some of my recent projects and that turned out to be a real gamechanger. Maybe you can check out Eneco Toon or the Zipatile as nice examples. The UX is going to be fairly simple. You setup your "standard" room on first start. 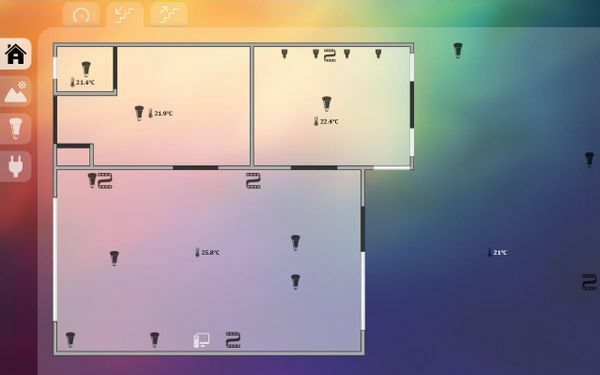 Afterwards there is only one button to change the room (and where you can set a new default one). The widgets are fixed ones first, so you can change the source (like the location for weather or news rss) but you can't add widgets on the first release. About focussing on the devices was just planning ahead. I have an iPad and cheap china tablet to test on. After its fully functional ill be looking into buying some tablets. Very nice that you are building a dashboard! 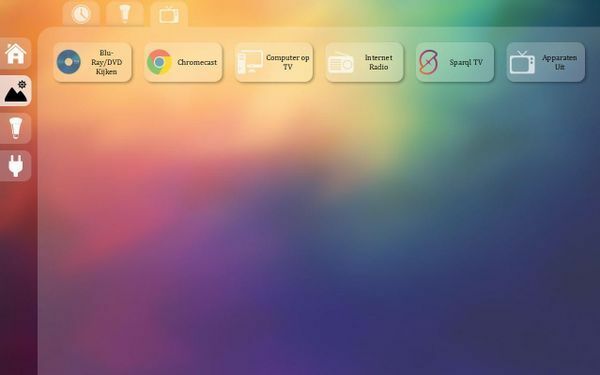 Everyone here at home is used to use buttons to turn devices on/off, so a dashboard wit buttons at the wall would be great! Yeah I love this too... even though, in my opinion, the Homey app for Android / IOS should be capable of doing this. But hey, Athom is busy on a lot of fronts so if you can make this work, I say: why not! The http://carmelarad.com/homey.html link is a good point for inspiration. Maybe it is even a good idea to contact Carmel Arad. Who knows, he may want to help..
That is a pretty cool idea! I'm actually working on something similar using a RPI3 and the 7" touchscreen i had laying around. It's a bit more expensive than a tablet solution, but it also gives you more to work with. So i'll keep you guys posted. Wanna help? Let me know! The main reason to build this for me is to get a better understanding of Homey, how communication works but also how to write an app... Did not know where to start otherwise, so thought this would be a good starting point. Maybe a bit optimistic, but he, at least i'm learning . Thought about using a rpi as well, but I lack the skills for creating a nice wall frame for it. What are you using for the app? HTML5 app? I got a smartpi touch case a while ago, using that for now as a wall frame/case. Maybe i'll make something out of wood later on, but let's get it working first . I'm using the parts i had laying around, not planning to buy new stuff, only if needed. Ha, forgot to mention Python, that's also a possibility . The plan I have to start with is using a normal webserver, like you mentioned, but there are a lot of ways to do this. So trying to find the right method is also part of the plan... But, like i said, let's make it work first . Awesome that you are trying to do this. I've been busy with my own dashboard for several months now, but it's not build in a way that is easy shareable. Started using my nas, but it was getting a little bit slow. (was already trying to get rit of it when i though of the dashboard idea). So know i'm hosting a server on my new Raspberri Pi 3. (just a week now). Wanting to host it as a server because i might want several (wall mounted) tablets around the house. (needed to learn this from ground up that's why it's taking so long). And it's not just using homey as a driver for doing things/showing information though. I've implemented the HUE api (way faster/more possibilities with hue api then with homey). And until i find a way to make json request to outside API's less intense (1 request for several values) using the Weather Underground API as well. And... There is another one with somewhat the same Idea . Awesome dude, screenshot and intensions look cool! There are a lot of way's to do this, UI and code wise, everyone has different ideas and expectations... This works on a tablet, and I assume it's (or could be) scalable to the 7" RPI screen? How did you handle the current state? Does the dashboard did a complete refresh every x seconds (or trough ajax)? Where did u use PHP for and why? you first write down what you want to see, and look for any possible ways to do this and choosing which way seems right/easiest for you. I'm a "learn while doing it" with a lot of trial and error, so no real tips except for, google is your best friend, tried to learn a little with a website called "Code Academy" but that didn't really work out (not the websites fault). I started in full PHP because i'm pretty knowledgeable with this language, and this also the main reason why it's with PHP anyways. But PHP has a "downside", it makes it so you need to refresh the entire page to get new data. Now only using it to make code searching easier (separate pages that at the end get combined). I'm not using the "mobile cards" homey has (yet, going to for ability to dim with KaKu) which you can retrieve. I don't know of any other API homey has on it's own. So yeah, all devices are added manually (the part which makes it hard to share), only the hue light's are created on the fly with PHP in conjunction with jQuery, but it's using the Hue API so not really compatible with homey. Hi, great that you are taking on this project. I have been thinking about this as well, and I thought about the following, perhaps you share the same mindset. If you make this into an official Homey app (instead of having the app work via the HTTP client or something), you can host the webpage you want to show on the Homey itself (f.e. you can open the settings.html page of any app on any webbrowser as long as you are on the home network). If you do this, you can also add triggers, conditions and actions from the flow editor. 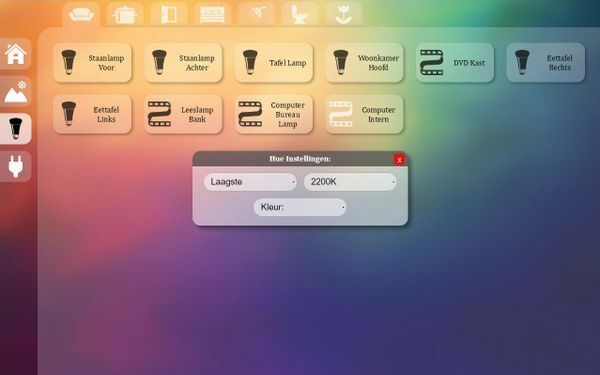 This would (in my opinion) create a very neat user experience, as it would allow you to make triggers like 'if button1 is pressed, do whatever you want here', or let certain buttons only show if a variable is changed in Homey (so that your interface would work in combination with speech; i.e. there is no need to show all TV channels if the TV is turned of if you'd want that). Next to that, you would only be able to access the interface when you are actually on the same network as Homey, which is likely true in all cases, and might actually be easier and more secure (and definately easier) than hosting it on a separate network. Next to this, I think it's also easy to transfer this to RPi's and the like (instead of making dedicated android app for example). Just my two cents, let me know what you think about it. Most options on the settings page are limited to the app itself. (kind of sandboxed, cant seem to access the html outside the homey page itself as well.) It's a great idea but just not possible (correct me if im wrong tho). I would also always keep such software/code that i am writing within your home network. An never port forward it (it lacks security/user login) so anyone can (ab)use it. The main reason for this post is to keep track of my steps (en een stok achter de deur). Others could copy/repeat/reproduce to meet their specific dashboard ideas. 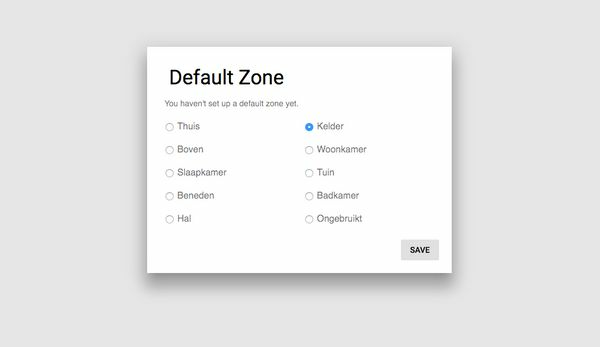 My idea is quit simple, but others might want some more options within a dashboard. @swttt: As far as I know, you can go to http://HomeyIP/app/com.internet/settings/index.html to reach that index.html (although not all dependancies work), so I think it should also be possible for other subfolders/webpages (not tested). When you set a 'mySetting' value to '1', you can then (I think) write code to set it back to '0' and call an action to be used in flows. Again, this is all theoretical, but as far as I know, it should work. Settings are stored for the app or its device(driver), there isn't a flow yet to read out settings or called on setting change. The only way would be to create your own app flows that trigger certain things. The best way still is to use the Rest API and control all the devices like you do in the webui. Probably a working concept done by the end of the day. I wil upload it to github so others can fiddle around with it if they want to.. Updated the first post with some more info and a video with the current result.